Ok so here we are nearing the end of September. Drawing back on my days of youth in Prince George, B.C., this time of year reminds me of three things: yellow leaves, chopping and stockpiling lumber for the winter ahead, and making wine. It's this last one I'm going to talk about today. The Portuguese love their wine, it's a matter of fact. But the Portuguese also believe they shouldn't have to pay a lot for their wine. 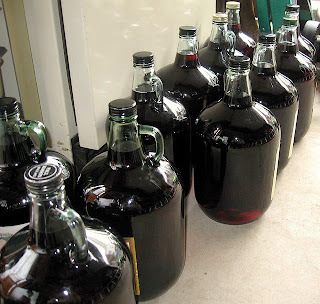 Most Portuguese emigrant men in Canada will tell you that they will drink 3, 4, 5 glasses of wine a day, yet most have never purchased a bottle at the liquor store. How do they do it? They make it at home. Now having grown up the son of Portuguese emigrants in Canada, and as many like me will attest, this time of year was often a messy time of year. Making homemade wine never was and probably never will be a clean process, yet everyone had to help with one thing or another. 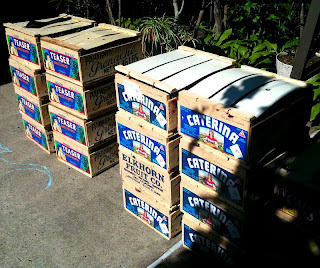 So in our house, every September, from one day to the next, unannounced, my dad would receive boxes of grapes, often brought to our place of residence by another member of the Portuguese community. The grapes, whatever the variety, would either came from the Okanagan region of British Columbia or from California straight into our backyard and ready to be turned in the nector of the gods. 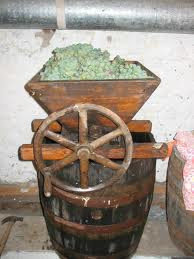 Now the crushing of the grapes, of course, was the messy part, be it the crushing (crusher on the left) or the pressing (presser on the right). The end result, however, made it all worth it - to see the juice flowing into the pail, the first signs of what would be on the table every night for the year(s) to come. I guess it made it all worth while. So skipping ahead a few steps in this winemaking adventure, a few weeks or months after fermentation would come the bottling. Now bottles often came in two sizes. On one hand, there was the popular five litre bottle (see below) which was robust, heavy (once full) and awkward to put on the table during dinner. 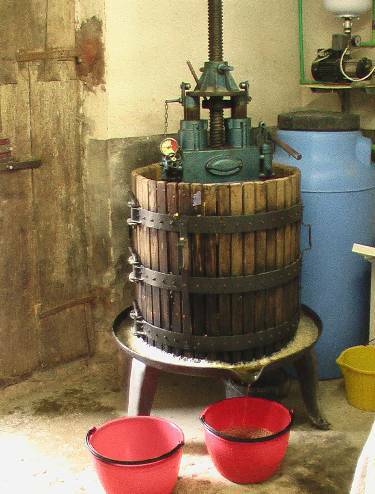 Now by the 1990's, this whole process of making wine right from the grape got replaced by the buckets of grape juice ready for fermentation. Everybody got into it. Surely the cutting off of certain steps made things cleaner, even cheaper, but the replacing of the wooden grape boxes with white plastic buckets left something to be desired, this beyond the fact that such a "new" method seemed to be serving up a slap in the face to the old, more traditional means these Portuguese emigrants adapted upon settling in Canada. Now is there hope of the grape making a comeback among Portuguese winemakers in Canada? I like to think so. 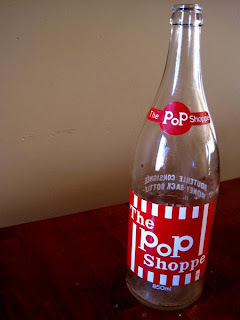 After all the Pop Shoppe bottles are back.